Historic General Assembly postponed with student protesters and Wits administration blaming each other. 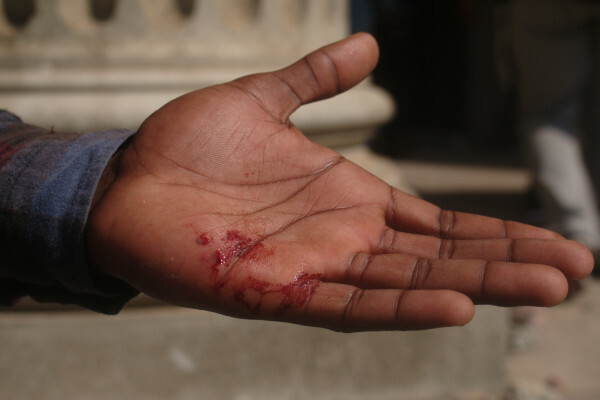 A private security company whose employees were in a stone-hurling clash with students on the Great Hall steps on Tuesday have not had their contract terminated though Wits is investigating individuals, the university said. This comes after allegations that Wits had cancelled the contract with the company after its security guards retaliated against stone-throwing students by throwing stones themselves. Wits spokesperson Shirona Patel dismissed these claims saying the university had opened an investigation and would wait until it has concluded to decide on anything. “The head of security is currently compiling a report and based on that report, they’ll decide whether they terminate the contract or not,” she said. The investigation report is expected to be out in “a day or two”. Patel said she could not confirm which company had security guards involved in the stone throwing but the investigation was set out to identify individuals that were involved in the scene. Wits Vuvuzela spoke to Diligence Security Services, which confirmed that they had guards deployed at Wits on the day and that some of them had stones hurled at them. Another security company, Fidelity Security Services, said that they didn’t have any extra security of their own at the Great Hall but confirmed that the security guards at the Great Hall were deployed Diligence Security guards. The Student Representative Council (SRC) has announced its new leaders after a meeting on Thursday night. “We have constituted! Your #PYA15 are officially the incoming SRC 2016/17,” the Wits Progressive Youth Alliance (PYA) tweeted on Friday afternoon. Last month the PYA won all fifteen seats to lead in the incoming SRC. Friday’s announcement comes after reports of infighting between two factions which wanted different presidents. 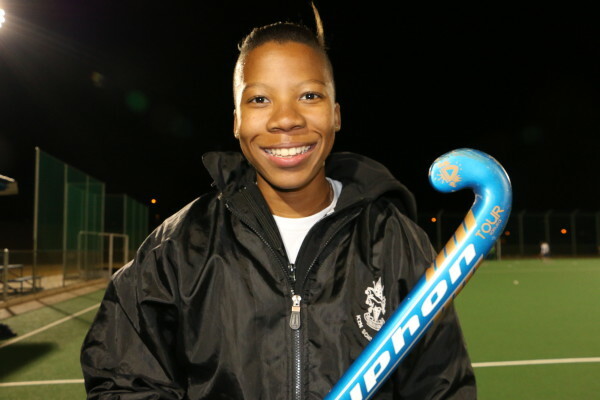 Kefentse Mkhari was elected to lead the SRC with David Manabile serving as secretary general. 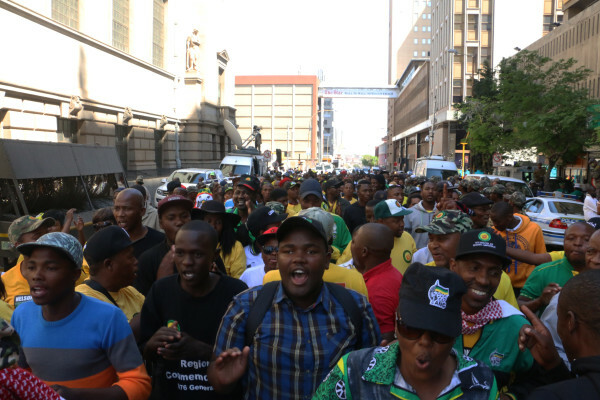 Members of the African National Congress (ANC), representing opposing factions #OccupyLuthuliHouse and #DefendLuthuliHouse, came face to face in a tense standoff outside the party’s headquarters in Braamfontein earlier today. 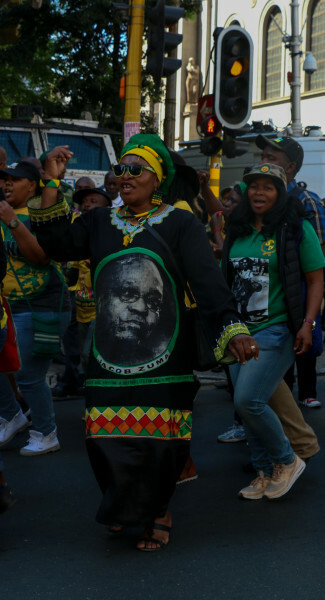 The #OccupyLuthuliHouse group handed over a memorandum to ANC Secretary General Gwede Mantashe calling for South African and ANC president Jacob Zuma to step down along with the resignation of the ANC’s National Executive Committee (NEC) and the dismantling of the Fees Commission. Mary Louw, a member of the faction said that the group was motivated by feedback received during their door to door campaign for the local government elections. Louw said that most people they spoke to said they would not be voting for the ANC because of the incumbent leadership. “A lot of people say based on the Nkandla scandal ‘we are not voting for the ANC for as long as Zuma is President,’” Louw said. ANC members who are defending Zuma say that problems within the ANC should be discussed within the party and not in front of the media. Tim Mashele, the Mpumalanga ANC Youth League (ANCYL) Chairperson said that all ANC members need to have meetings where they can do some introspection as this was the only way to save the party. “These ones they just want fame, that’s why they talk to the media. If there’s anyone that wants to save the ANC, they must go to the branches and various structures of the ANC so that we’re able to come up with real solutions to our problems,” said Mashele. Gugu Ndima, one of the ANCYL members and organisers of the #OccupyLuthuliHouse march said they are giving the mother body a month to respond to the memorandum and they would continue to mobilise general society and other ANC members. A WITS university professor is facing removal from the University Council, Wits’ highest decision-making body, for his reports on meetings, after the body’s executive accused him of “misrepresenting discussions at council” and “creating a misleading impression”. The chair of the University Council, Randall Carollisen, announced in an email that there would be an investigation against Prof David Dickinson, who is an elected academic representative on the council. Dickinson had been sending regular reports to staff members about matters discussed in council, the most recent of which was on insourcing of workers and a decision to give bonuses to executive members of staff. The executive bonuses could amount to as much as R3-million. This decision has been contested by both academics and Student Representative Council (SRC) members. It was after Dickinson’s report about these bonuses and insourcing, that the council decided to establish an inquiry that would look into Dickinson’s conduct. “It has been a problem for some time that Professor Dickinson either misrepresents discussions at Council or provides selective information that creates a misleading impression,” said Carollisen in a statement announcing the investigation. Academic Staff Association of Wits University (Asawu) president David Hornsby said that there was a “collective concern” about the founding of the committee which permits an investigation and the potential removal of Dickinson from his office because of what he was sharing in his reports. Hornsby also added that Dickinson had entered a written agreement regarding his communications and how they would be corrected of mistakes. Asawu believes that there has been no action warranting his potential removal. Hornsby raised his concerns about what an investigation into Dickinson meant for transparency, academic freedom and the right of the academic community to know what happens in the governance of Wits. “It is really not acceptable to argue in a publicly-funded university, an institution where academics play an important role in governance on non-confidential matters, that there cannot be report backs,” he said. When reached for comment by Wits Vuvuzela, Carollisen declined to comment further about Dickinson’s potential removal from the council. “Any speculation about Prof Dickinson’s future relationship with the council will be inappropriate at this stage,” he said. It is not clear yet when the committee will start its meetings but Carollisen said that the committee would meet under the leadership of the deputy chair and would advise once they have completed their task. Carollisen told Wits Vuvuzela that the University Council has “reaffirmed” executive bonuses as “variable pay” which would be allocated based on the executive members’ performance against both institutional and personal scorecards. If they qualify, they’ll receive variable pay on top of their guaranteed packages. He said this is necessary to make executive compensation competitive with other universities and the private sector. The head of the law school has been suspended pending an investigation. “Sorry Sisi, there’s no Generations today. We’re watching soccer”. 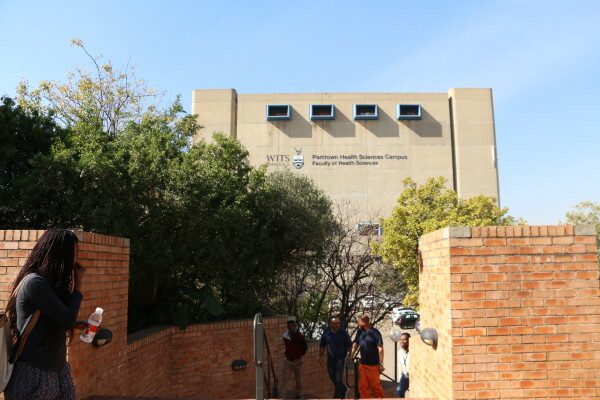 Wits medical students staged a protest on Wednesday afternoon, calling the Faculty of Health Sciences out on illegal student exclusions and delayed processes of transformation. The students complained about the slow rate of transformation at Medical School and some students falling victim to what they say are illegal exclusions. “Management failed to give students a criteria to even begin with so how are they now telling them that they failed to meet a criteria?” said Nkosinathi Maluleke who led the protest and currently sits in the Student Transformation Committee. The students raised concerns about the processes of dealing with students who had not been attending compulsory activities in their field, which is part of their course. The compulsory activities include field experience, such as working in a hospital, to gain real world experience. The protesting students say that the faculty forced them to deregister for the course this year and come back next year because of failure to meet their due performance scores. Veller added that they were committed to a broad transformation project but that it is always limited by resources that are available to the faculty. “We’re in the process of addressing transformation and many other issues they raised but no transformation is ever fast enough,” he said. Wits Student Representative Council (SRC) Vice-President Motheo Brodie said that the SRC was aware of the demands by students and that they have been engaging with the Student Transformation Committee in the Medical School Council. “I hope that management will respond because if they don’t, this might not have a pretty ending,” he said.